After almost ten months in limbo, the Arkansas Bar is finally nearing a decision on my bar grievance against Hillary Clinton. 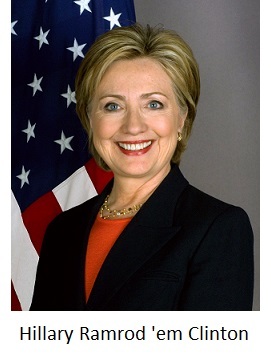 According to an email that I received this afternoon from Michael Harmon, deputy director of the Arkansas Supreme Court’s Office of Professional Conduct, he plans to respond to the Clinton grievance by the middle of July. Meanwhile, California is trying to disbar me after I wrote about a corrupt bar prosecutor who withheld exculpatory evidence (more on that below). As my readers know, I filed grievances against Mrs. Clinton and attorneys David Kendall, Cheryl Mills, and Heather Samuelson for destroying email evidence in the midst of criminal and Congressional investigations as well as civil litigation. Mrs. Clinton’s attorneys are licensed in D.C. and Maryland, and both bars dismissed my complaints without an investigation. I filed suit to compel the D.C. Bar to investigate, but the D.C. Court of Appeals whitewashed the matter. I also filed suit in Maryland, and on May 25, 2017 an assistant attorney general filed a motion to dismiss the case and a motion to seal it (my responses to those motions can be found here and here, respectively). Why would they want to seal the case? Perhaps because they don’t want the public to see what really happens behind closed doors. Consider this: if a storefront divorce lawyer in Western Maryland had systematically destroyed thousands of items of evidence, is there any doubt that Maryland’s Office of Bar Counsel would file charges? Of course not. Yet when Hillary’s lawyers commit such crimes, the Office of Bar Counsel turns a blind eye. A crime is a crime, and there’s no excuse for whitewashing the criminal misconduct of attorneys who happen to represent a Presidential candidate. As I’ve documented on this blog, however, disciplinary cases against lawyers are usually decided by politics. The greater an attorney’s political prominence, the lower the chance that he or she will be prosecuted by the bar, and that’s true for Republicans and Democrats alike. Just ask Texas Attorney General Ken Paxton. Last year, I wrote about how California Bar prosecutor Cydney Batchelor withheld exculpatory evidence, which is a crime under California law. The California Bar refused to investigate her, but not long thereafter it opened an investigation of me. I was reprimanded by the Texas Bar in 2014, and I’ve written extensively about that case on DirtyRottenJudges.com and BoogerCountyMafia.com. The California Bar knew about that reprimand in 2014, but apparently it waited until I blogged about Ms. Batchelor to seek reciprocal discipline. Meanwhile, the U.S. District Court in D.C. was not satisfied with the reprimand in Texas, so it tried me again on the same charges. That case was rigged, as I explained in my August 23, 2016 blog post, so I accepted a 120-day suspension, paid a $5,000 fine, and resigned from the bar of that corrupt court. Now California wants to try me a third time on the same charges, and it is seeking my disbarment, even though I have been an inactive member of the California Bar since 2008, and even though I have not practiced there in more than a dozen years. Last month I offered to accept the same punishment that I accepted in D.C. (minus the fine), but the bar prosecutors told me they would accept nothing less than my disbarment. 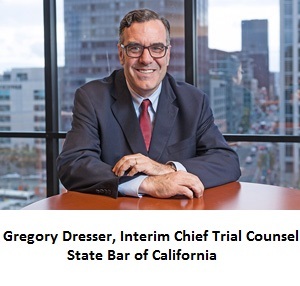 The bar prosecutors said their only motive is to protect the public (i.e., from me), but how am I a threat to the public in California when (1) I cannot practice there because I am not an active member, (2) I don’t want to be an active member or practice there, and (3) I am more than willing to resign? And why does California want my scalp so badly when the bars where I actually practice (and where the alleged violations occurred) have not disbarred me? Because the California Bar is systemically corrupt, and its prosecutors are angry because I exposed their corruption. On May 15, 2017, I filed suit in federal court in San Francisco to enjoin the California Bar from retaliating against me for exercising my First Amendment right to blog about corruption in the bar. At a June 1, 2017 hearing, U.S. District Judge William Alsup denied my request for a preliminary injunction based on representations from Suzanne Grandt, assistant general counsel for the bar, that I could assert my First Amendment defense and get discovery in the State Bar Court. After that hearing, Ms. Grandt smiled and thanked me because she thought I said she was a talented lawyer. About three seconds later, she realized I said she was a “talented liar.” And she is a talented liar, although not quite talented enough. It didn’t take long to figure out that I cannot assert a First Amendment retaliation claim in State Bar Court, and I cannot get discovery. On June 12, 2017, I filed a motion explaining how Ms. Grandt deceived Judge Alsup at the June 1, 2017 hearing. On Monday of this week, Judge Alsup ordered Ms. Grandt to appear at a July 20, 2017 hearing and explain herself. Incidentally, Judge Alsup is notoriously no-nonsense, and he is the same judge who recently referred Uber to the Justice Department for criminal prosecution.